KATHMANDU, Aug 28: Tea plantations in Kwholosothar Village Municipality, Lamjung, has become a tourist attraction in Gandaki state as well as a source of income. Domestic tourists have been increasing in the Kwholosothar Village Municipality where tea plantations have been made in areas like Ghalegaun, Bhujung, Pasagaun, Bhoje, etc. Chief of the Lamjung office of the Annapurna Conservation Area Project, Rajesh Prasad Gupta, said that the tea plantation program was started to allow residents inside the conservation to have an independent source of income. The communal tea plantations have slowly started attracting tourists as they present a beautiful view at 1700 meters above sea level. 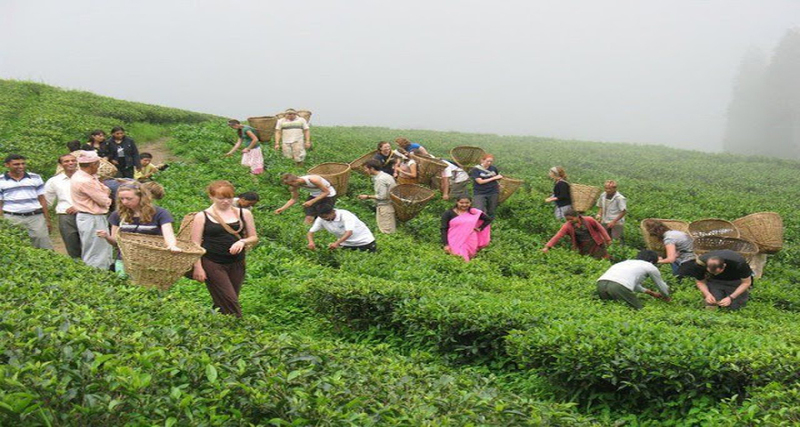 The plantations have replaced similar attractions as far as Darjeeling and Ilam, and the model tourist villages Ghalegaun and Bhujung allow tourists to enjoy the tea plantations at the base of the mountains.